The Leverhulme Trust has awarded a grant of over one million pounds for a five-year study of the Ancient Human Occupation of Britain (AHOB). Specialists several Institutes and Universities will work together to investigate when people first arrived in Britain, and what factors led to their survival or local extinction. The AHOB 1 Project is Finished. Please visit the AHOB 2 website for additional information. Evidence for human presence in northern Europe was reported from Pakefield, England by a group including many members of the AHOB team. Parfitt and others (2005, Nature 438:1008-1012 ) described Palaeolithic flint flakes from the Cromer Forest-bed that are about about 700 thousand years old. You can read the full paper here or on the Nature website. Download: [Paper text] [Supplement Table 1] [Supplement Table 2] [Supplement Figure 1]. A new volume published in Journal of Quaternary Science edited by AHOB members Simon Lewis and Nick Ashton covers new findings about the Palaeolithic of northern Europe, including many papers reporting AHOB research. Go to abstracts and papers at Wiley Interscience. The Ancient Human Origins of Britain (AHOB) project is a collaborative effort involving archaeologists, palaeontologists, and earth scientists at a number of different British Institutes, including the Natural History Museum and the British Museum. Key questions include the environmental nature of the earliest human occupation of Britain, whether the the new Levallois technology, which appeared at the beginning of the Middle Palaeolithic, was a European import or developed from local technologies, and whether Britain was truly abandoned by humans between 22,000 and 13,000 years ago [details]. Project activities will include fieldwork to verify new information about old finds, geochronology (dating of sites and material), stable isotope analysis [details], new studies of the palaeoecology of human sites, archaeological studies, and geographic information systems (GIS) [details]. The AHOB team has published over 150 papers. Britain has one of the richest, but still underappreciated, records of early human history in the world. Because of its special position in relation to the Atlantic and Europe, Britain had some of the most extreme changes of environments, plants and animals over the last 700,000 years. 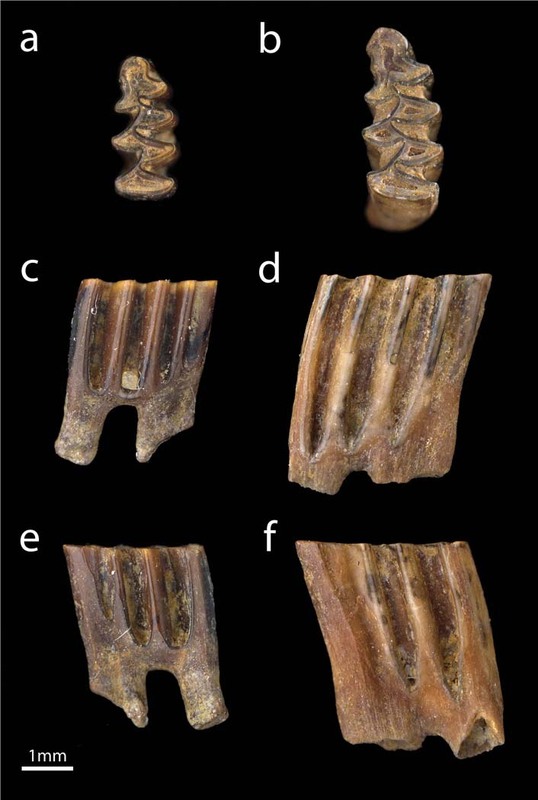 Key findings from Pakefield were published in Nature last year showing human occupation had begun by 700,000 years ago. Early Britons had to cope with the extreme changes of climate, but at least seven times they apparently failed to do so and died out completely. Thus there was probably no continuity of occupation between the populations represented by Pakefield, Boxgrove, Swanscombe, Pontnewydd, Kent’s Cavern/Paviland, and Gough’s Cave. Britain and the British people of today are new arrivals – products of only the last 12,000 year. The nature of early human occupation was contingent on continuing changes in geography and environments, and on the source of human populations, whether from northern or southern Europe. The whole project has helped greatly improve our understanding of the timing and nature of the British Middle Palaeolithic (the neanderthals), which while still very shadowy is at least now seen as a distinct period worth studying. The Dating program led by Roger Jacobi has been especially important in this. A mid-project symposium was held in September, 2003 to report on ongoing research on project sites, data interpretation, and preliminary results. Abstracts from those presentations are available here. [Abstracts]. Tentative correlation of Quaternary chronology with key British sites, archaeological industries, palaeogeography, and major warm periods and ice advances for the past 700,000 years. Many aspects of this model, specifically the number of episodes of lowland glaciation, the timing of the separation of Britain from the continental landmass, and correlation of sites with the marine Oxygen Isotope Stages, are speculative. The elucidation of these problems and their impact on the Key Research Questions are the main objectives of the AHOB project.